The Liquid Fluoride Thorium Reactor is the key to producing life-saving cancer treatments and clean, reliable, sustainable energy. Only the two-fluid design of our LFTR (pronounced “lifter”) can harness the full potential of thorium to be used for not only sustainable power, but also for life-saving cancer treatments. These advantages will bring about a new revolution in medical and industrial technology. LFTR utilizes natural safety features that set us apart from the field. One example is a freeze plug at the bottom of the reactor vessel, constantly cooled to maintain it’s properties and prevent the fuel from draining out of the reactor. In the event of a loss of power, the plug will melt and the reactor fuel will drain into an inert storage tank below, stopping the fission reaction immediately. LFTRs are reliable and never have to shut down to refuel. Unlike other sustainable energy sources, LFTRs supply power no matter the time of day or weather condition. Liquid fuel can be added or removed as the molten salts cycle in and out of the core, allowing for 24/7 uninterrupted operation. LFTR will be the most efficient energy source ever developed. A fission reaction releases millions of times more energy than a chemical reaction, and a liquid-fueled reactor can take full advantage of this efficiency. Solid-fueled reactors utilize less than one percent of their fissile material, discarding the rest as nuclear waste. 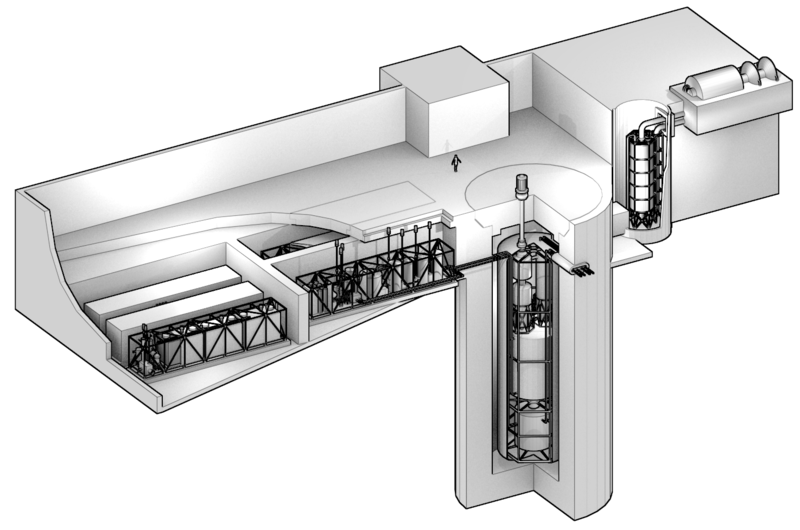 A liquid-fueled reactor can consume nearly one hundred percent of the fissile material, almost eliminating long-lived radioactive waste and increasing fuel efficiency. An individual’s lifetime energy consumption could be supplied, through a LFTR, by a piece of thorium the size of a golf ball. LFTR is the pinnacle of modern sustainable energy. LFTRs produce no CO2, particulate matter, or other emissions harmful to the environment. Furthermore, thorium is extremely abundant in the earth’s crust — it is currently considered a waste product of other mining processes — and can be gathered with minimal environmental impact. Stay up to date with what we’re doing to bring affordable and sustainable energy to the world.